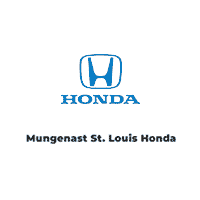 Thank you from Mungenast St. Louis Honda for visiting our site. We are a premier new and used Honda dealership in St. Louis serving drivers from O’Fallon, Ballwin and St. Peters, MO. Take a look around; there’s a lot to see! At Mungenast St. Louis Honda, we have a huge inventory of new Honda cars in St. Louis and used cars for the Ballwin, O’Fallon, and St. Peters, MO, areas. Our Honda Dealership holds over 1,000 new Honda trucks, cars, SUVs, and used vehicles for you to view, including the new Honda Civic, Accord, CR-V, Pilot, and Odyssey. Our excellent staff will be on hand to help you find that new or used car you’ve been wanting. Our knowledgeable finance experts offer top-of-the-line advice for anyone who is interested in a car loan or Honda lease in the St. Louis area. We are dedicated to your needs and listen to your concerns. We will custom design a loan package that suits your own lifestyle. Mungenast St. Louis Honda would also like you to know that you can come have your vehicle taken care of with top-notch service. With our fully trained technicians and our genuine Honda auto parts, your car will always be in excellent shape when you leave our auto repair and car service department in St. Louis. Looking to speak to us at Mungenast St. Louis Honda? You can easily submit the online contact form, call us at (314) 894-1330, or visit our Mungenast St. Louis Honda dealership at 5939 S. Lindbergh Blvd. in St. Louis, MO. We proudly serve drivers from Ballwin, O’Fallon, and St. Peters!